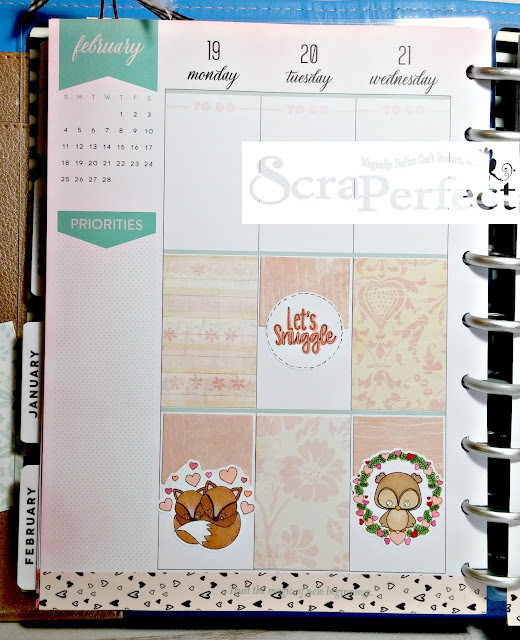 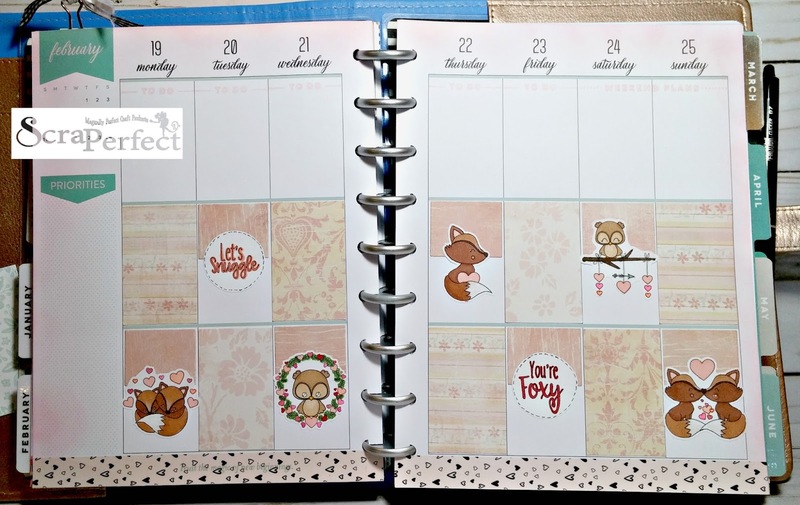 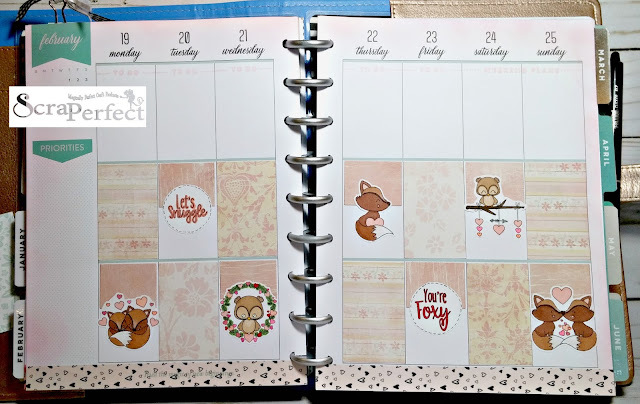 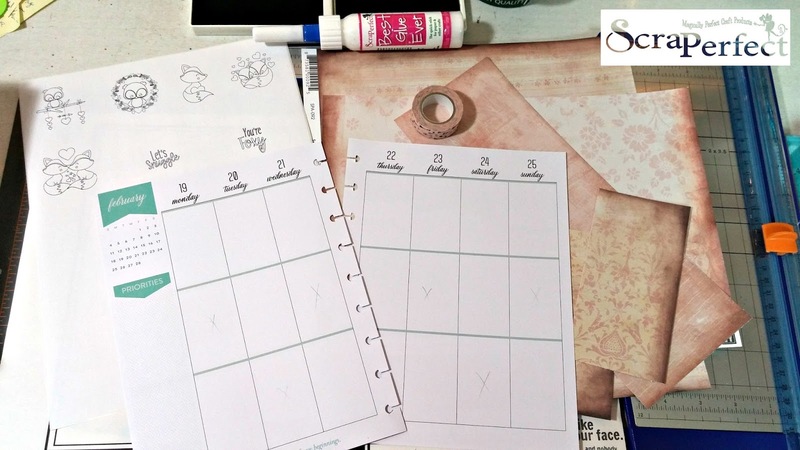 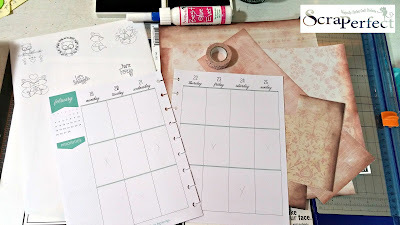 Today's project with ScraPerfect is my planner spread for next week. 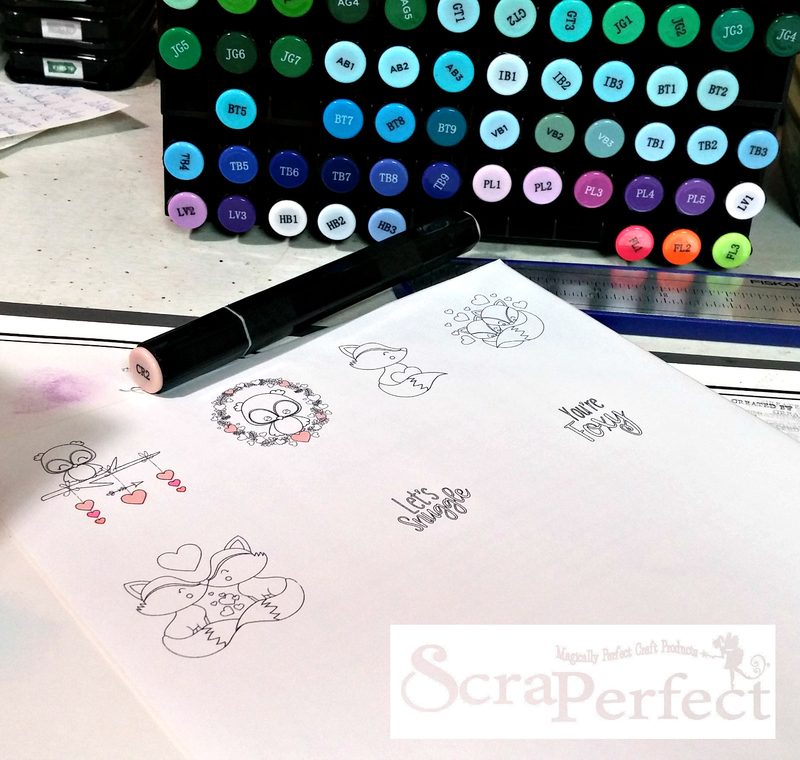 I printed out digi stamps on sticker paper and used patterned paper that's been in my stash for many years. 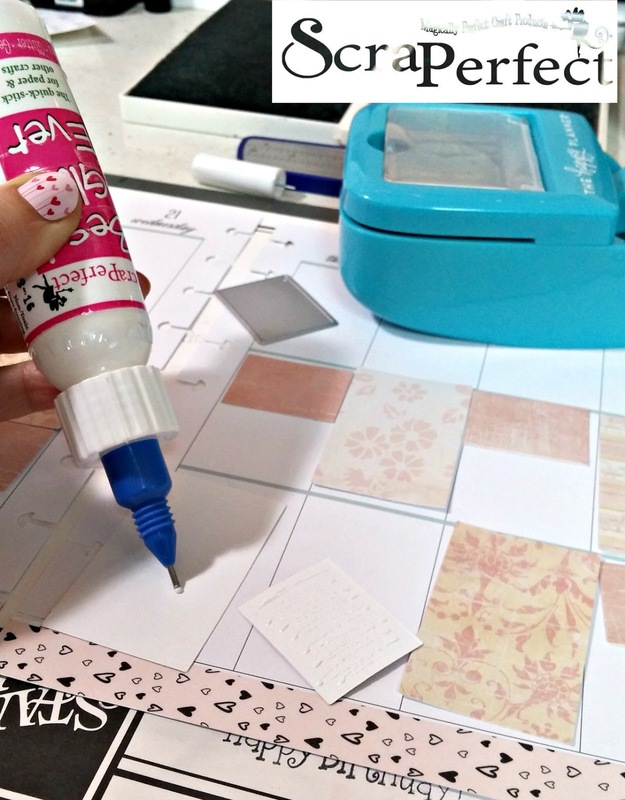 Of course, the Best Glue Ever with the No Clog Writing Cap is perfect for any paper project and so I used it to glue down all the paper that I punched and diecut out. 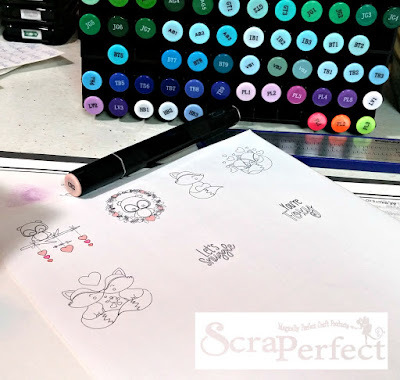 I then colored all the images up with my Spectrum Noir alcohol markers, accented them with Wink of Stella clear shimmer pen, stamped daily "to-do"s and blended pink ink around the edges. 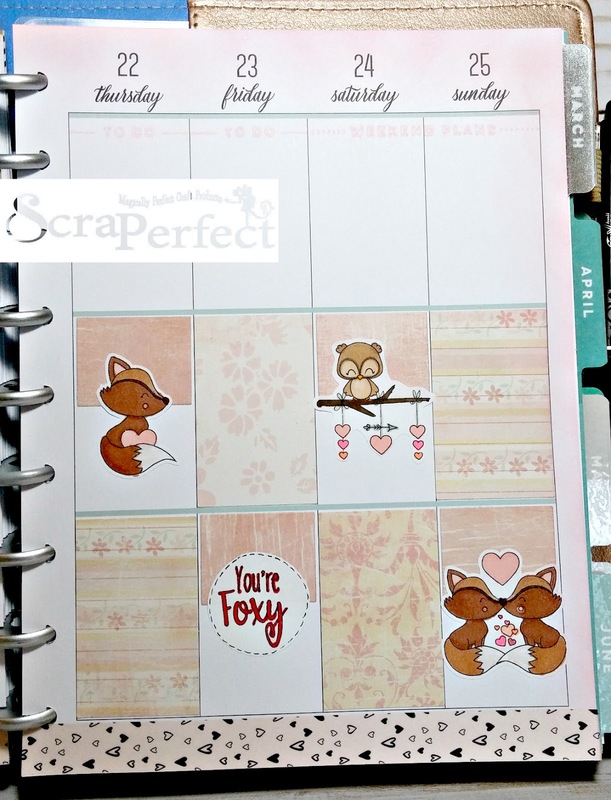 Turned out pretty cute, eh? Since February is the month to celebrate LOVE, I figured I could get by using that as my theme for another week in my planner! That's it for me today ~happy crafting with ScraPerfect!